Gloucester Cathedral, formally the Cathedral Church of St Peter and the Holy and Indivisible Trinity, in Gloucester, England, stands in the north of the city near the River Severn. 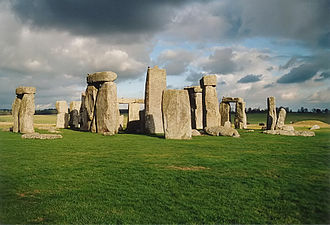 It originated in 678 or 679 with the foundation of an abbey dedicated to Saint Peter (dissolved by Henry VIII). Wardle records that in 1058 Ealdred, Bishop of Worcester at the time, rebuilt the church of St Peter. 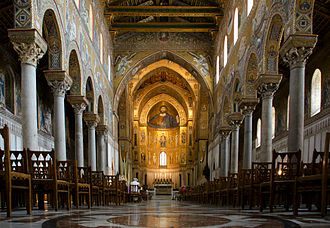 The foundations of the present church were laid by Abbot Serlo (1072–1104). Walter Frocester (d. 1412) the abbey's historian, became its first mitred abbot in 1381. Until 1541, Gloucester lay in the see of Worcester, but the separate see was then constituted, with John Wakeman, last abbot of Tewkesbury, as its first bishop. The diocese covers the greater part of Gloucestershire, with small parts of Herefordshire and Wiltshire. The cathedral has a stained-glass window depicting the earliest images of golf. 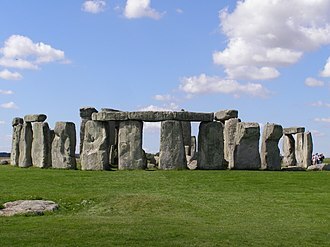 This dates from 1350, over 300 years earlier than the earliest image of golf from Scotland. There is also a carved image of people playing a ball game, believed by some to be one of the earliest images of medieval football. The most notable monument is the canopied shrine of Edward II of England who was murdered at nearby Berkeley Castle (illustration below). The building and sanctuary were enriched by the visits of pilgrims to this shrine. In a side-chapel is a monument in coloured bog oak of Robert Curthose, eldest son of William the Conqueror and a great benefactor of the abbey, who was interred there. Monuments of William Warburton (Bishop of Gloucester) and Edward Jenner (physician) are also worthy of note. The Abbey was the site of the coronation of Henry III, the only monarch since the Norman Conquest not crowned in Westminster Abbey. This is commemorated in a stained glass window in the south aisle. In September 2016 Gloucester Cathedral joined the Church of England’s ‘Shrinking the Footprint’ campaign. The aim of this campaign is to reduce The Church of England’s carbon emissions collectively, by 80%. In order to help reach this target Gloucester Cathedral commissioned local solar company Mypower to install an array on the nave of Gloucester Cathedral. Purportedly the solar array will reduce Gloucester Cathedral’s energy costs by 25%. The installation was completed by November 2016. 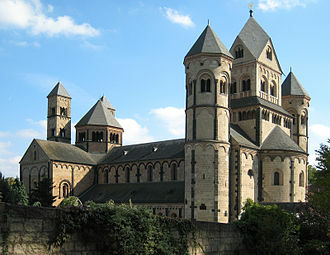 The 1000 year old Cathedral is now the oldest building in the world to have undergone a solar installation. The organ was originally constructed in 1666 by Thomas Harris and has the only complete 17th-century cathedral organ case surviving in the country. The pipes displayed on the front of the case are still functional. The organ was extended and modified by nearly all of the established UK organ builders, including Henry "Father" Willis who worked on the organ in 1847 and rebuilt it in 1888–1889. It was rebuilt again in 1920 by Harrison & Harrison. 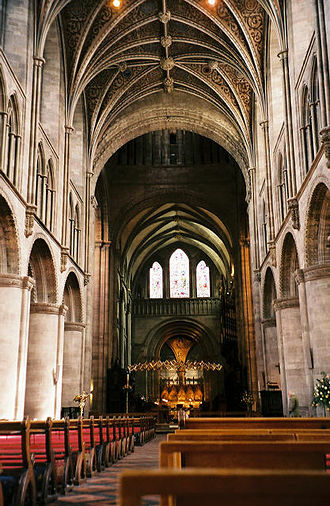 An annual musical festival, the Three Choirs Festival, is hosted by turns in this cathedral and those of Worcester and Hereford in rotation. The Three Choirs is the oldest annual musical festival in the world. The Cathedral's clock, bells and the chimes are referred to in a repair agreement of 1525. The present clock, installed in 1898, is by Dent and Co, who built the clock for Big Ben. There is no external dial, but there is a fine Art Nouveau clock face in the north transept, dating from 1903, designed by Henry Wilson. The bells were rehung and augmented in 1978 to give a ring of twelve. The two oldest bells date from before 1420, so they are older than the present tower. The bells are rung 'full circle' by the Cathedral's band of ringers for the weekly practice session In addition there is Great Peter, the largest medieval bell in Britain, weighing a fraction under three tons. Great Peter is the hour bell and can also be heard ringing before the main services. The cathedral was used as a location for filming the first, second and sixth Harry Potter films. The cathedral is also used during school term-time as the venue for assemblies (known as morning chapel) by The King's School, Gloucester, and for events by the High School for Girls (Denmark Road, Gloucester), the Crypt Grammar School for boys, Sir Thomas Rich's School for boys and Ribston Hall High School. 1216 First coronation of Henry III. 1327 Burial of Edward II. 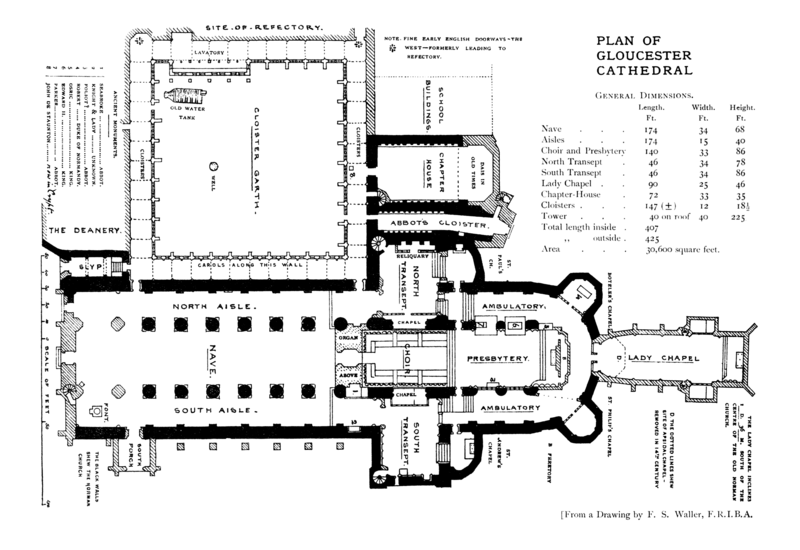 1541 Refounded as a cathedral by Henry VIII. ^ "Governance". Gloucester Cathedral Website. Retrieved 28 January 2019. ^ "Appointments". Church Times. Retrieved 28 January 2019. ^ Gransden, Antonia (2013). 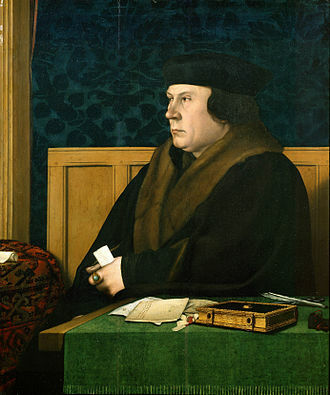 Historical Writing in England: 550 - 1307 and 1307 to the Early Sixteenth Century. Routledge. p. 391. ^ "The first Golf record?". 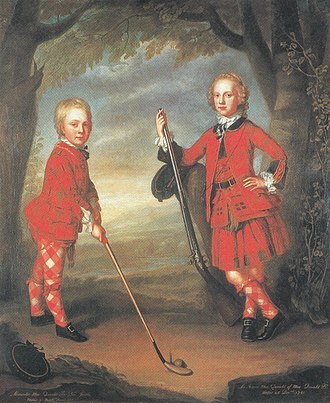 A Royal and Ancient Golf History video. Fore Tee Video. Archived from the original on 22 January 2009. Retrieved 16 January 2009. ^ Harvey, John (1978). The Perpendicular Style. Batsford. ISBN 0-7134-1610-6. ^ "Let there be light - 1000 year old Gloucester Cathedral becomes the oldest building of its type in the world to install solar PV". MyPower.com. Retrieved 7 September 2018. ^ "Gloucester Cathedral - Cathedral Chapter". Gloucestercathedral.org.uk. Retrieved 30 January 2019. ^ "Crown Appoints Canon Precentor". Gloucester.anglican.org. Retrieved 7 September 2018. ^ "Christ Church West Wimbledon — Information, Candlemas 2003" (PDF). Christchurch-westwimbledon.org. ^ "The National Pipe Organ Register". Npor.org.uk. Retrieved 7 September 2018. ^ a b c "Gloucester Cathedral - Organ". Gloucestercathedral.org.uk. Retrieved 12 December 2016. ^ "Three Choirs Festival". Archived from the original on 1999-04-18. Retrieved 16 January 2009. 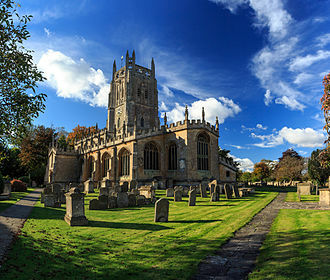 ^ "Burial vault discovered 'accidentally' at Gloucester Cathedral". BBC News. 2 November 2015. Retrieved 2 November 2015. 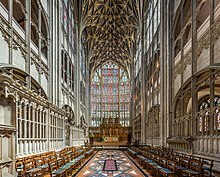 ^ "Gloucester Cathedral 'should be heritage site'". Bbc.co.uk. January 2014. Retrieved 7 September 2018. 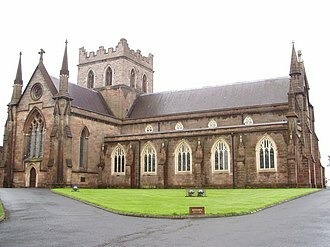 2008 the cathedral was used by BBC Wales as a location for the Doctor Who Christmas special. ^ "Gloucester on film". Thecityofgloucester.co.uk. ^ "IT was a case of 'once more into the breach' for Gloucester Cathedral which has provided the backdrop for another star studded drama". Thisisgloucestershire.co.uk. 20 January 2012. Archived from the original on 5 May 2013. Retrieved 12 December 2016. ^ "The stately homes of Wolf Hall". Bbc.co.uk. 7 September 2018. Retrieved 7 September 2018. ^ "Sherlock watch: Benedict Cumberbatch and Martin Freeman set for filming in Gloucester Cathedral". Gloucester Citizen. 22 January 2015. Archived from the original on 2015-01-22. Retrieved 23 January 2015. ^ "Sherlock stars back filming at Gloucester Cathedral today". Gloucester Citizen. 23 January 2015. Archived from the original on 2015-01-26. Retrieved 2015-03-17. ^ "Information for the Ceremonies held at Gloucester Cathedral". University of Gloucestershire. Archived from the original on 20 October 2011. Retrieved 4 May 2012. ^ "Higher Education Graduation". 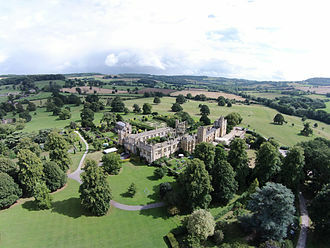 Hartpury College. Archived from the original on 20 March 2012. Retrieved 4 May 2012. Simmons, D A (1962). Who's who in music and musicians' international directory (4th. ed.). London: Burke's Peerage Ltd. OCLC 13309419. Published in America as Simmons, David (1962). Who's who in music and musicians' international directory (4th. ed.). New York: Hafner Publishing Company. OCLC 12923270. 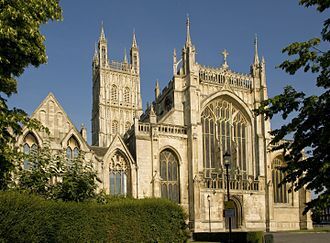 Wikimedia Commons has media related to Gloucester Cathedral. A precentor is a person who helps facilitate worship. The details vary depending on the religion and era in question, the Latin derivation is præcentor, from cantor, meaning the one who sings before. The chief precentor was the highest position in many ancient Mesopotamian cities, Jewish precentors are song or prayer leaders, leading Synagogue music. A Jewish precentor is typically called a hazzan or cantor, in the Middle Ages, women precentors leading prayers in the weibershul were known as firzogerin, foreleiner, zugerin, or zugerke. A precentor is a member of a church who helps facilitate worship, the role of precentor was carried over from the synagogues into the early church. The term precentor described sometimes an ecclesiastical dignitary, sometimes an administrative or ceremonial officer, the precentor had various duties, he was the first or leading chanter, who on Sundays and greater feasts intoned certain antiphons, hymns, responsories etc. 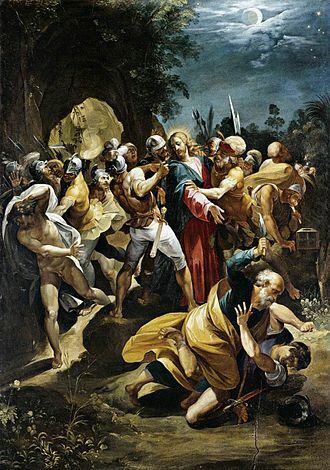 He was variously styled capiscol, prior scholæ, magister scholæ, victor of St.
Hugo tells us that in the care of the primicerius were placed the acolytes, exorcists and psalmists. In the Middle Ages the principal dignitaries of cathedral, collegiate chapters, the schola was always in attendance when the bishop officiated in his cathedral, and to the precentor was assigned a place near the bishop and high in dignity. His office was obviously one demanding much learning and executive ability, in the cathedrals of England, France and Germany, he ranked sometimes next to the dean, sometimes next to the archdeacon. In some instances his sphere of activity was much broader, including the duty of installing deans and other dignitaries, and in some monasteries and this baton cantoral is a silver or white staff. In the dioceses of Aix, Coutances, Metz, Orléans, brings the antiphon to the bishop when officiating pontifically. Sacristans, choir-boys, and employés of the Cathedral are placed under his surveillance and he will preserve order and silence in the sacristy). A precentor is a person, usually a member, who is in charge of preparing worship services. Medieval football is a modern term sometimes used for a wide variety of localised football games which were invented and played in Europe during the Middle Ages. 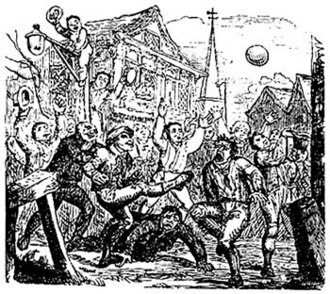 Alternative names include folk football, mob football and Shrovetide football and these games may be regarded as the ancestors of modern codes of football, and by comparison with forms of football, the medieval matches were chaotic and had few rules. 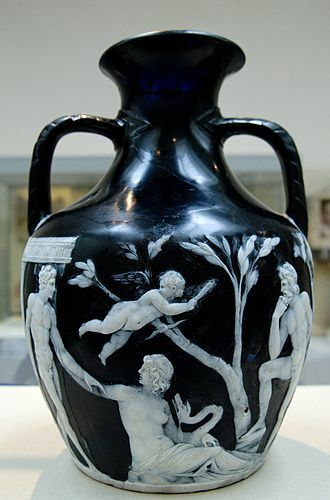 The Middle Ages saw a rise in popularity of games played annually at Shrovetide throughout Europe, the games played in England at this time may have arrived with the Roman occupation but there is little evidence to indicate this. Certainly the Romans played ball games, in particular Harpastum, there is one reference to ball games being played in southern Britain prior to the Norman Conquest. In the ninth century Nenniuss Historia Britonum tells that a group of boys were playing at ball, the origin of this account is either Southern England or Wales. References to a game played in northern France known as La Soule or Choule, in which the ball was propelled by hands, feet. By some accounts, in such events any means could be used to move the ball towards the goal. Sometimes instead of markers, the teams would attempt to kick the bladder into the balcony of the opponents church, a legend that these games in England evolved from a more ancient and bloody ritual of kicking the Danes head is unlikely to be true. These antiquated games went into decline in the 19th century when the Highway Act 1835 was passed banning the playing of football on public highways. Few images of medieval football survive, one engraving from the early fourteenth century at Gloucester Cathedral, clearly shows two young men running vigorously towards each other with a ball in mid-air between them. There is a hint that the players may be using their hands to strike the ball, a second medieval image in the British Museum, London clearly shows a group of men with a large ball on the ground. The ball clearly has a seam where leather has been sewn together and it is unclear exactly what is happening in this set of three images, although the last image appears to show a man with a broken arm. A Lady chapel or lady chapel is a traditional British term for a chapel dedicated to Our Lady, the Blessed Virgin Mary, particularly those inside a cathedral or other large church. 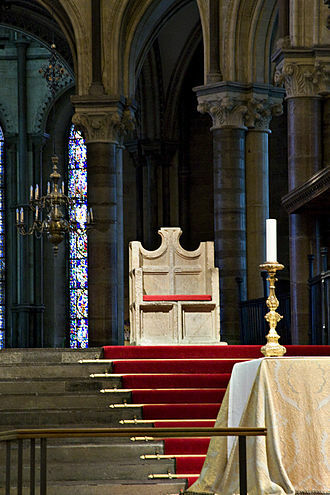 Most Roman Catholic and many Anglican cathedrals still have such chapels, the lady chapel of Ely Cathedral is a distinct building attached to the north transept which was built before 1016. At Rochester the current lady chapel is west of the south transept, probably the largest lady chapel was built by Henry III in 1220 in Westminster Abbey. This chapel was 30 feet wide, much in excess of any foreign example, among other notable English examples of lady chapels are those at the parish church at Ottery St Mary, Thetford Priory, Bury St Edmunds Cathedral, Wimborne Minster and Highfield Church in Hampshire. The Lady chapel was built over the chancel in Compton, Surrey, Compton Martin, Somersetshire, at Croyland Abbey there were two lady chapels. The Priory Church at Little Dunmow was the chapel of an Augustinian priory and is now the parish church. A fan vault is a form of vault used in the Gothic style, in which the ribs are all of the same curve and spaced equidistantly, in a manner resembling a fan. The initiation and propagation of this element is strongly associated with England. The earliest example, dating from about the year 1351, may be seen in the cloisters of Gloucester Cathedral, the largest fan vault in the world can be found in Kings College Chapel, Cambridge. 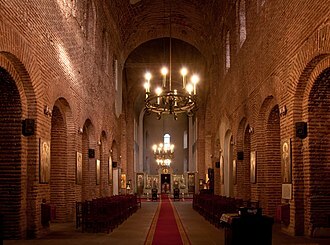 The fan vault is peculiar to England, the lierne vault of the cathedral of Barbastro in Spain closely resembles a fan vault, but it does not form a perfect conoid. Harvey suggests Catherine of Aragon as a source of English influence in Aragon. The fan vault is attributed to development in Gloucester between 1351 and 1377, with the earliest known surviving example being the east cloister walk of Gloucester Cathedral. Harvey hypothesises that the east cloister at Gloucester was finished under Thomas de Cambridge from Cambridge, the other three parts of the cloister at Gloucester were begun in 1381, possibly under Robert Lesyngham. 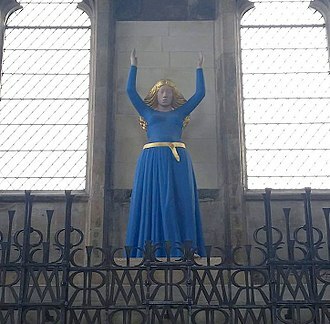 Lady Chapel, Ely Cathedral, UK. Virgin Mary statue by David Wynne. Fan vaulting over the nave at Bath Abbey, Bath, England. Made from local Bath stone, this is a Victorian restoration (in the 1860s) of the original roof of 1608.